Based on reviews from 565,174 users. Learn how our rankings work or see our guide to brown sneakers. Updated Apr 2019. When it comes to choosing shoes, one crucial factor had always been the color. People prefer a particular shade to suit their outfits or personal tastes, which is why some have multiple pairs in different colors to make sure that they have footwear that they can mix and match their clothes with. There are also those who prefer neutral colors such as black, white or brown sneakers, which can go with almost anything. Brown sneakers, in particular, are well-liked for their versatility and their ability to be dressed up or down for any occasion. They are notable enough in an outfit, but at the same time, brown sneakers are not too loud to crash the whole get-up. They could also be worn for a day out, for dining out or attending a party. Brown sneakers also lean more towards the classical senses, which is why they have a touch of sophistication. Back in the 1920s, when most gentlemen chiefly wore Oxfords, the most common colors were black, dark brown, or red-brown. Lighter brown shades were also introduced for summer wear. The colors were easy to pair with business suits and casual clothing, and it was easy to keep them clean. This was how brown sneakers became a classic part of any wardrobe. Brown is also closely associated with leather, a classic material for sophisticated items, from bags to shoes, jackets and more. It is the natural color of leather without being dyed, which is why brown sneakers can be associated with elegance. Back in the day, brown sneakers were also the mark of a man who was successful and respected, yet laidback enough to not stick to a black pump or shoes in patent leather, which could be restrictive fashion-wise as well as looking overly formal at times. Brown sneakers were a great in-between, and they remain so today. Adidas Yeezy 750 Boost. Kanye West's Yeezy line was first created with Nike, but in 2013 the music artist announced his departure from the brand owing to contract disagreements. He then took his designs to Adidas. 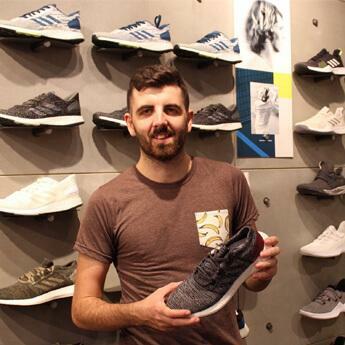 His shoes are some of the most hyped-up items in the sneaker world, with releases selling out right away only to appear in the reseller market with bloated price tags. The Adidas Yeezy 750 Boost was released in November 2016, with one colorway in chocolate for brown sneakers. It has an upper made up of premium nubuck in light brown, which is deconstructed for a raw appearance. Completing the look is the gum Boost sole. The rope laces are complemented by the Yeezy line’s trademark mid-strap. Just like the rest of the Yeezys, it retails at an ultra-expensive price. Adidas NMD_XR1 Primeknit. The past and the future are balanced in the NMD_XR1 Primeknit shoe, which takes inspiration from geometric angles and shapes. It also takes inspiration from the iconic 1980s shoes in the Adidas archive: the Boston Super, the Micro Pacer, and the Rising Star. 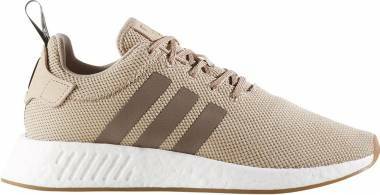 Flexible and innovative, this Adidas Originals shoe has an entry in brown sneakers, featuring light shades of the color in different panels and materials. Adidas ZX Flux. With a mesh upper, the Adidas ZX Flux is eye-catching yet minimalist at the same time. It’s available in Brown/Hemp Camo that puts a twist on the camo trend. The brown sneakers’ color theme extends to the midsole, creating a seamless look. It’s part of the heritage of the ZX 8000 running shoe. Adidas Tubular Shadow. Released in 2016, the lightweight and breathable Tubular Shadow has knit upper. It has an overall simple style with a chunky sole that emphasizes a modern and minimalistic approach. It has two colorway options for brown sneakers, the Cardboard and the Mystery Brown/Vintage White. This model is part of the Adidas Tubular line, which also includes the Tubular Doom and the Tubular Invader. Adidas Climacool 1. Climacool shoes were introduced by Adidas way back in 2002. They featured a highly advanced, breathable construction that allowed the foot to “feel the breeze.” Airflow could even go through the midsole and outsole. It wasn’t as successful back then because the trends had not yet evolved towards ultra-lightweight, ventilated shoes. Adidas brought the style back in 2016 when the market was ready for the revolutionary sneaker. Today, there is a rising demand for light and airy shoes, which is precisely what the Climacool 1 offers. Adidas adapted the 2000s-era design to fit today’s styles, and so the sneaker is ready for the modern generation. Among many options, it comes in a Brown/White colorway for those looking for brown shoes. Adidas Superstar 80s. The Superstar is an indelible part of Adidas history. First released in 1969, it has achieved icon status and remains to be influential in sneaker culture. 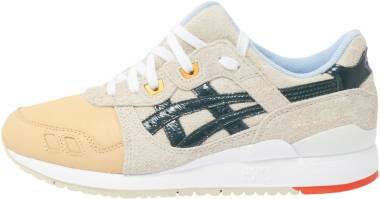 It has a full-grain leather upper, capped with the highly recognizable shell toe. On its sides is the Three Stripes logo, along with the Trefoil image on the heel patch. It's an unmistakable Adidas hallmark. 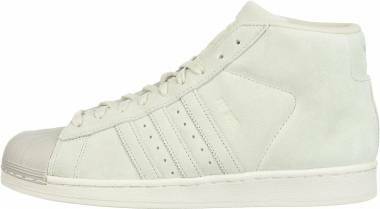 To modernize the classic, Adidas introduced the Superstar 80s, featuring an upgraded build and a premium feel. For a smooth touch, the Three Stripes logo is made in twill, while a herringbone pattern graces the outsole for an improved look. It has a Simple Brown/Chalk White colorway that is made up of suede, its item in the brown sneakers category. Adidas Campus. Originally a basketball shoe, the Adidas Campus has transcended the court to make its mark in the skateboarding and hip-hop communities. Its modern version showcases a retro-inspired nubuck upper along with leather lining. It has a durable cupsole for support, while its trim features a colorful contrast for additional stylish detail. 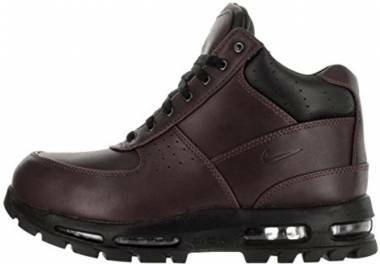 It's available in a Clear Brown/Core Black/Mystery Ruby colorway for brown sneakers. Adidas Gazelle. Born in the 1960s, the Gazelle from Adidas Originals has an undisputed spot at the heart of Adidas history. Its soft suede upper is contrasted by the leather Three Stripes design on the sides, as well as the gold Gazelle lettering near the logo. It remains a fashionable shoe, sought after for its crisp and straightforward style. The timeless model has a Soft Brown/Off-White colorway for brown sneakers which features the fan-favorite 1991 edition of the Gazelle. Adidas Seeley. In 2011, Adidas introduced the Seeley, a sneaker structured on the frame of the legendary Adidas Gazelle. It's a casual sneaker that balances a heritage style with modern comforts. It mostly has a back-to-the-basics approach, keeping everything simple and focusing on a low-top skate sneaker build. 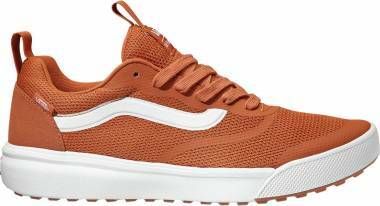 For brown sneakers, it comes in a Mesa/Dark Brown/White colorway option. Lacoste Europa. Staying true to its tennis heritage, the Lacoste Europa has a simple, tennis shoe silhouette. It’s offered in monochrome colorways, one of which is the Dark Brown shoes option. It’s constructed in leather with a straightforward upper design. It also has the green Crocodile logo embroidered on the side for a touch of elegance and exclusivity. Lacoste name branding is also on the midsole, tongue, and heel tab, giving the sneaker an air of classic sophistication. Merrell Moab Rover. Available in dark brown shoes, which Merrell has dubbed the Espresso colorway, the Moab Rover is a lifestyle offering from the outdoor brand. It's the casual version of the Moab hiking boot; this time recreated for those long hours at work. Full-grain leather and suede make up the upper, fitted out with a lightweight and supportive construction. Nike Air Max 97 Ultra 17. When it was first released, the Nike Air Max 97 shoe made waves in the running community. It featured a Nike Air unit in full length. Reimagining the original is the Nike Air Max 97 Ultra 17, which updates the upper with a mesh and knit structure, offering a lightweight and smooth appeal. 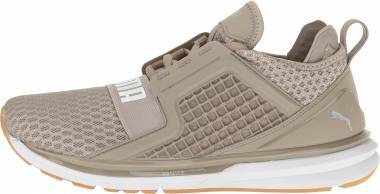 Its brown sneakers edition is the Sepia Stone/Sail/Desert Sand colorway. Nike Air Force 1 UltraForce Mid. Ever since designer Bruce Kilgore created the Air Force 1 shoe, many editions and designs have been produced due to its continued influence. It was the first basketball sneaker to utilize Nike Air technology, and it was consequently offered in a low, mid, and high top. The UltraForce Mid continues the original model’s legacy with aplomb, updating it with ultra-lightweight cushioning, reflective details, and a breathable sleeve on the inner. It’s offered in a classically appealing Sepia Stone/Moon Particle/Summit White colorway for brown sneakers, which accentuates the shoe’s seamless polish. Nike SB Stefan Janoski Max Mid. As a skateboarding sneaker, the SB Stefan Janoski Mid features a flexible toe construction, plush cushioning on the heel, and a visible Air Max unit to ensure comfort both on and off the board. The “Tweed” brown sneakers or Baroque Brown/Black-Laser Crimson colorway highlights the shoe’s unique silhouette, making it versatile for day-long wear. Nike Air Max Motion LW SE. 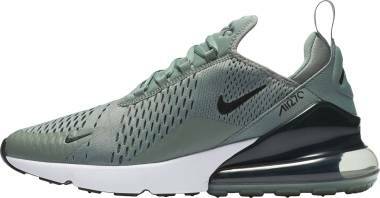 An engineered mesh upper lends a smooth appeal to the Special Edition of the Nike Air Max Motion LW. It’s loaded with Nike technology, ensuring a comfortable and lightweight ride. There’s an Air unit displayed on the sole, which delivers a shock-absorbent and cushioned support. For the brown sneakers version, the Olive Flak/Sail/Gum Light Brown and the lighter Mushroom/Muslin/Sail are the colorways to choose from. Nike Air Force 1 07 LV8. Stamping a fresh take on an icon, the elevated sole of Nike Air Force 1 07 exudes a timeless yet fashion-forward appeal. It elevates the original sneaker to create an updated model that balances a classic design with fresh, modern details. Perforations provide ventilation along the upper, while the foam sole incorporates Air system cushioning. The brown shoes option features a stark white midsole, giving the shoe a minimalistic yet classy flair. Nike Air Force 1 07 High LV8. The high-top edition of the Nike Air Force 1 07 High LV8 takes the shoe to farther heights with a padded collar and an ankle strap design. It’s an eye-catching addition to a modern classic. It’s available in two colorways for brown sneakers, the Flax/Outdoor Green/Gum Light Brown, and the Light Bone/Sequoia/Khaki/Sail. 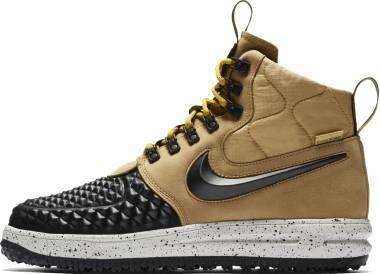 Nike Lunar Force 1 Duckboot. Brown shoes also do well in the rain, as proven by the Linen/Khaki version of the Lunar Force 1 Duckboot. It's a weatherized high-top sneaker that means one doesn't have to sacrifice style in the name of unpleasant weather. Its leather is water-repellent, and it has a wool lining that keeps the foot warm and dry. A LunarLight midsole cradles the foot, completing the shoe’s offer of premium comfort. Nike Air Max 95 Premium. The landmark Nike Air Max 95 was the first shoe to uncover its Nike Air cushioning around the forefoot, allowing people not just to feel the cushioning, but to see it, too, for the first time. Now, its Premium edition levels up the distinctive design with first-class materials for an updated look. For the brown sneakers variety, the colorways available are the Wheat or Bronze/Baroque Brown - Bamboo and the Baroque Brown/Golden Beige. Nike SB Zoom Stefan Janoski. The low-profile Nike SB Zoom Stefan Janoski skate sneaker promises superb grip and ultra-responsive support. Lightweight comfort is delivered for daily wearing. Its characteristic minimalistic style has made it popular among many people, even those who may not recognize skater Stefan Janoski. It’s offered in a brown sneakers variant, designated as the Hazelnut/Black - Baroque Brown colorway. Nike Manoa. Its rugged construction makes the Nike Manoa a versatile shoe that can be used for outdoor activities in challenging conditions. It provides the necessary support for extended use with its padded collar and tongue, ensuring comfort at the same time. Walking on any surface is made easier with its rugged outsole plate. Completing its rustic vibe is its earthy colorway option for brown sneakers, labeled as the Haystack/Velvet Brown. Puma Ignite Limitless. Smart streetwear and a classic running shoe design come together in the Puma Ignite Limitless. IGNITE Foam technology is on the midsole, which delivers first-rate cushioning and high energy return. Deluxe details and branding accents levels up the style towards modern sophistication. It has a brown sneakers colorway, the Vintage Khaki, for those who want to add a classic, sports-inspired flair to their daily get-up. Saucony Jazz Original. First introduced in 1981, the Original Saucony Jazz is an effortless and timeless sneaker that can be worn for any activity. It was constructed to mold to the wearer’s movements and foot structure, guaranteeing comfort and support. Since then, the model has become one of Saucony’s most recognizable shoes, remaining to be well-loved to this day. It has been introduced in a brown sneakers color, the Brown Off-White. Saucony Shadow Original. The Shadow Original was initially released in the mid-1980s as the suede update to the Jazz Original’s silhouette. 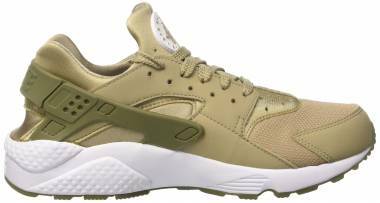 It comes in a brown sneakers option in the Cem/Tan colorway. Since its initial issuing, the sneaker has been an essential part of the Saucony image. It was initially a performance trainer, with a TPU heel and an EVA cushioned midsole for excellent support. Saucony Shadow 5000. Its athletic appeal and lightweight structure made the Shadow 5000 a sought-after everyday sneaker. It’s available in two brown sneakers variants, the Wheat, and the Chocolate Pack Brown. Fabric and mesh make up the upper, delivering breathability, support, and flexibility in all the right areas. Skechers Porter - Ressen. Skechers proves its expertise in the casual footwear department with the Porter - Ressen, a sneaker that’s meant for a comfortable, cushioned ride. It has a Dark Brown sneakers colorway version. These Oxford-inspired kicks have a sleek leather upper with a classic lace-up, stitching details, and overlays. Its sophisticated appearance makes it suitable for dressing up or down. Vans Mono Canvas SK8-Hi. 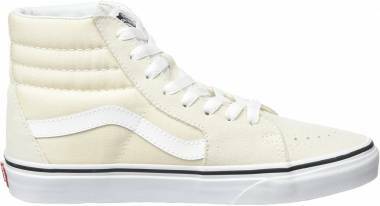 Skaters have favored the SK8-Hi ever since the 1970s, elevating the high-top to icon status. It is one of the most recognizable Vans silhouettes in history. 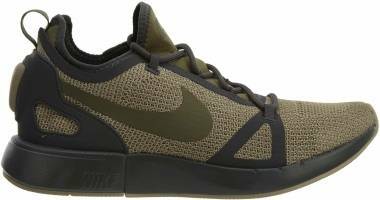 For brown sneakers, it has a Khaki/Brown colorway variation. The Mono Canvas SK8-Hi further improved the classic model with a monochromatic appeal, creating a smooth, refined look for any occasion. It’s a versatile everyday shoe that bears the Jazz Stripe, another iconic Vans hallmark. Vans SK8-Hi MTE. Since its initial release, SK8-Hi has undergone a lot of upgrades and reissues, proving its popularity and influential run in the sneaker world up to today. 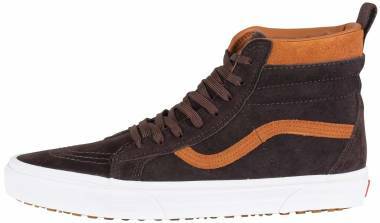 To make it even more sought-after, Vans released the MTE or Mountain Edition of the SK8-Hi silhouette in 2014, updating the casual shoe with a weather-resistant construction. With weatherized improvements, anyone can go out in style with the sneaker, even out in the elements. There are a few options for brown sneakers for this model: the Dark Earth/Seal Brown, the Brown/Herringbone, and the Rust colorway. Vans SK8-Hi 46 MTE DX. The SK8-Hi 46 MTE DX or Mountain Edition Deluxe takes the renowned model and modernizes it with premium materials to create a sneaker that's excellent for any season. Deluxe weatherized material makes up the upper, whether leather, suede or canvas. Heat retention and warm linings are incorporated to ensure a dry and comfortable fit. Among several choices, there's a brown sneakers option: the Glazed Ginger/Flannel colorway. Vans Suede Old Skool. In 1977, Vans introduced a new shoe, called “Style 36.” It was the first shoe to feature the now-iconic Jazz Stripe along the sides. The sneaker quickly became a classic, and its silhouette has become one of the brand’s most notable designs. By the 1980s, the customization trend took over, and from then on the shoe, renamed the Old Skool, had undergone many versions. One modern edition is the Suede Old Skool, which comes in several brown sneakers colorways: the Tobacco Brown, the Teak/Black, the Brown Sugar, the Dark Earth/Gum, and the Iron Brown/Tweet. Brown is associated with the earth, a warm color that makes anything look natural and elegant. It was the favored color of the 1970s, especially when it came to clothes and home décor, along with brown sneakers. Brown signifies strength, dependability, timelessness, and stability, and the same is true for brown sneakers. They are highly reliable classics that can be mixed with different outfits. When it comes to clothes, people who wear brown can be seen as respectful, peaceable, bright, sensible, and slightly traditional. Jackets, coats, dresses, and shoes are the stylish items commonly bearing the color. Similarly, those who wear brown sneakers radiate a practical and intelligent vibe. The world of fashion has recently taken an eco-friendly turn, with many brands creating products that reflect love towards Mother Nature. Brown is the perfect color for this, summoning images of trees and natural landscapes that people these days long to escape to. It is also the color of the fall season. Nurturing the natural world has become a widespread issue, making brown sneakers timely. How to style brown shoes? A pair of brown sneakers is an excellent addition to one's wardrobe because it can be worn with both casual and smart outfits. With their neutral color and classic appeal, one can just put on some brown sneakers, and it will most likely fit with the day's outfit. It's that versatile. At the same time, for parties and other more formal occasions, brown sneakers could also be worn. They are subtle and simple enough to blend with a dressier get-up. Brown sneakers are also stylish enough to avoid making an outfit look too drab. Jeans or pants, especially in black, showcase the smooth appeal of brown sneakers. Jackets, coats, or sweaters in army green or other light colors are a good option for the top, along with plaid shirts. Brown sneakers will also look good with dresses in neutral or pastel colors, perfect for any season. What are the popular colorways for brown sneakers? Brown sneakers come in different tones. The color is also often combined with other shades such as white, black, or other hues of brown for a sleek appearance. Although leather and suede are the ideal materials for brown sneakers, a canvas fabric is also common, along with mesh. Different shades featured in brown sneakers have specific names. Brands also often create their own names for the particular colorways that they have, especially if it's combined with other color tones. Red-brown. Red-brown is, as the name implies, a combination of the colors red and brown. The result is a vibrant and bold color that is popular when it comes to boots and other types of footwear. Taupe. Taupe is a gray color that has a tinge of brown in it. It is quite a vague term that can refer to any combination of brown and gray, no matter what color the result leans towards more. There are also different variations of taupe, such as sandy taupe, rose taupe, and more. Caramel. Inspired by the sugary treat of the same name, the color caramel most often refers to a glossy light brown shade that mimics the look of the syrup. Beige. Unbleached wool is where the color beige comes from. It's been described as a grayish tan and a pale sandy shade. Its origin is the French word which referred to natural wool that has not been dyed or altered. It is a favorite color for coats. Chocolate. Inspired by the color of the sweet treat, the color chocolate can best be described as a rich, deep brown. Leather shoes often use this shade, especially in a patent version for a polished look. Khaki. Most commonly used in the uniforms of armies across the world, khaki is a type of a yellow-brown shade. It’s also often incorporated in camouflage patterns. One would most likely find a pair of khaki-colored pants or trousers that are meant for smart casual occasions. Desert sand. This color may be described as a deep shade of beige or a weak reddish yellow tone. It has the same hue as the sands of the desert. Russet. A color of the autumn season, russet is a dark brown tone with a tinge of reddish-orange. Tan. Taken from the word tannum, or oak bark, which is used in the tanning process of leather, the color tan is described as a pale shade of brown. It is a common color used in clothes, shoes, and many other items, especially in leather material. It also has several variations. What are the different Pros and Cons of brown shoes? The benefits of having a pair of brown sneakers can vary widely, depending on an individual's tastes. However, most fashion lovers have agreed on some points when it comes to the pros and cons of brown sneakers. The summary information can be found below. It is a neutral color and can be easily styled with many different outfits. Brown shoes exude an air of classic style and elegance. There are many shades of brown that one can choose from. One could buy different brown sneakers in varying tones for a staple style that can still be mixed and matched. Brown is a natural color that leads the mind to remember nature and the fall season, evoking a sense of comfort. Brown sneakers shades can be dressed up for different occasions or dressed down for more relaxed activities. The color has received criticism for being boring, so some may see brown sneakers as dull-looking. Similarly, shades of brown are said to be too conservative by some fashion lovers. Some brown sneakers may look too formal and can be restricting style-wise. Brown shoes work best with an outfit with muted colors. A clothing ensemble that is too bold or too loud may look out of place with them. Are brown lifestyle kicks popular among celebrities? Brown sneakers have become a must-watch style. They have a unique appeal of being lower profile than other colors, making them popular among sneaker lovers, collectors, influential people, public figures, and celebrities. Some well-known personas who were spotted wearing a pair of brown sneakers include actors Ben Affleck, Orlando Bloom, Jennifer Love Hewitt, Lea Michele, the models Alessandra Ambrosio, Sofia Richie, and Romee Strijd, music artists Joe Jonas, Nick Jonas, and Nicki Minaj, and businesswoman Olivia Palermo. Are brown sneakers too formal? Although brown sneakers lend a somewhat formal air to any outfit, they are not as formal as dress shoes such as brown oxfords, which are meant for suits. Brown sneakers are seen as a lookalike of their formal shoe counterparts, especially since the color is so subtle. It’s important to note that even in formal wear, brown shoes are considered to have a more laidback flair. Black shoes are considered the primary formal footwear of choice, so those who wear brown shoes are seen as more relaxed and casual. Thus brown sneakers have a distinctly classic appeal along with a carefree vibe.